Heeft u een vraag voor Besakih Beach Hotel? Het Besakih Beach Hotel in Bali ligt op een gunstige locatie voor reizigers met een interesse in stranden, restaurants, winkelen en is bij uitstek geschikt om te ontsnappen aan de hectiek van alledag. Het hotel ligt niet zo ver van het stadscentrum: de afstand is ongeveer 17.7 km en het duurt normaal ongeveer 28 minuten om het vliegveld te bereiken. Dankzij de praktische locatie liggen alle belangrijke trekpleisters in de buurt van het hotel. Voor Besakih Beach Hotel is niets teveel om het gasten naar de zin te maken. Zo biedt dit hotel goede service en vele faciliteiten. Dit hotel beschikt over vele faciliteiten die zelfs de meest veeleisende gasten zullen overtuigen. Het Besakih Beach Hotel beschikt over 78 kamers, allemaal smaakvol ingericht voor optimaal comfort, met voorzieningen als draadloos internet (gratis), rookvrije kamers, airconditioning, wekservice, bureau. Het hotel biedt fantastische faciliteiten, inclusief privéstrand, zwembad (buiten), massage, zwembad (voor kinderen), tuin, zodat u kunt onthaasten na een bezige dag in de stad. Het Besakih Beach Hotel is een uitgelezen keuze als u een kwaliteitsaccommodatie zoekt in Bali. Houd er rekening mee dat ieder jaar op Bali Neypi (Stilte) Dag wordt gevierd op de volgende data. Op deze dag wordt op het gehele eiland absolute stilte in acht genomen. Buiten activiteiten zijn niet toegestaan, dit is inclusief het in/uitchecken bij hotels. 23 maart 2012 /12 maart 2013 / 31 maart 2014 / 21 maart 2015 / 9 maart 2016 / 28 maart 2017.
in vergelijking met onze andere hotels die goedkoper waren, waren de voorzieningen beter. Gratis internet goede badkamers, goed ontbijt met gratis ei met ham of bacon. Bij het Besakih moest je voor ei extra betalen. Meest hotels hebben in die prijsklasse ook gratis shuttlebusjes. Dit bood Besakih ook niet aan. Vergane glorie , vieze koffie en schraal ontbijt . Top locatie, ruime kamer op mooi terrein. Genoten!!!! Helaas kamer bij de grote weg, tot laat lawaai. Ontbijt en locatie prima. The room does look outdated but still comfortable with basic amenities with bath tub. The hotel itself, the location is great with many restaurants and shops nearby. 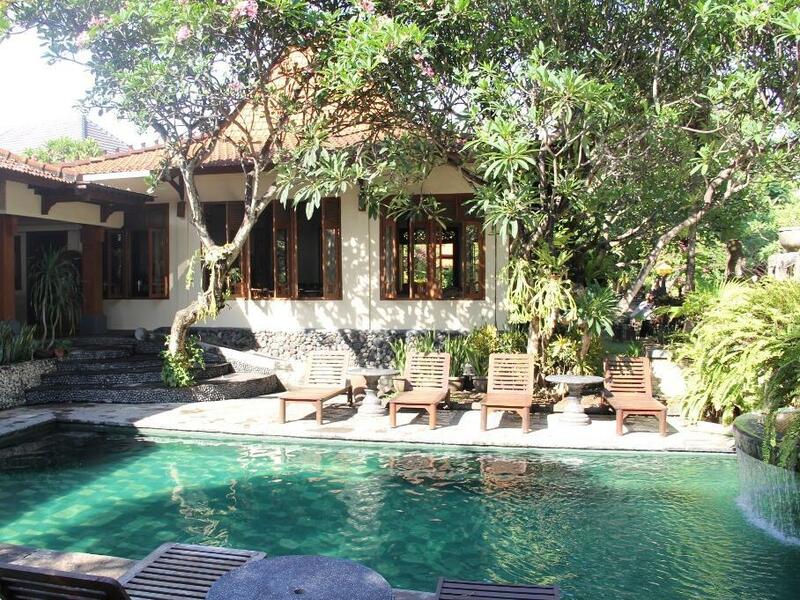 It has a swimming pool which overlook the sanur beach and great food provided especially the breakfast. Overall great value. My husband and I really enjoyed our stay and found the staff very friendly. 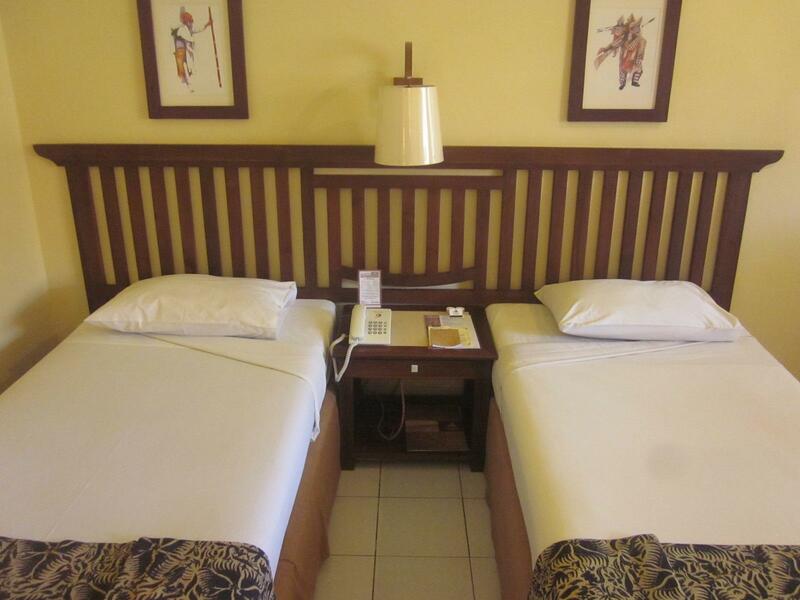 The room was very comfortable and suited our needs perfectly. The pool was great with breathtaking views of the ocean as we lazed about the pool. Would definitely be back. It's like coming back to stay with a trusted old friend stepping back into Besakih. Not much changes & the standard rooms need some renovating especially the bathrooms. Love the quite, calm atmosphere here. For the price, room was decent, although we immediately upgraded to a bungalow for an additional cost, which was of excellent quality. Location is perfect for me, and overall service was great. The bfast has limited selection but all great tasting with great quality. The facility is serene with beach-side pool and beach-side lounge chairs. For the price, it's hard to beat since the villas nextdoor are up to 2x the price for the same features. The Besakih is an older,balinese style hotel/bungalows. Overpriced but they get away with it due to the position which is A1. Breakfast is boring so don't bother unless you like an omelette and toast everyday. Some of the rooms are shabby and most need a good update from the 80's. The bathrooms,especially are very ordinary and some mouldy. This hotel is beautiful. It's older style Bali, full of character with gorgeous gardens. The pools over look the beach and so too does the restaurant. Staff are very friendly. It has a beautiful ambience. A little bit older style hotel but lovely to stay here. The pool area is terrific and fronts onto the beach. Terrific location, close to restaurants and shops. We only stayed one night but would stay again. It is very relaxing there and many of the guests have been there before.The staff are helpful.The pool is on the beach front.It is an older building but we love the bunglows at the back.The gardens are beautiful..Staying there you are close to most things markets etc.looking forward to going back. Besakih Beach Hotel in March 2017 was very nice with friendly staff, an excellent swimming pool, and a good, clean beach. Our bedroom was a little dated, but fine overall. The only negative was the bathroom. It was as clean as it could be but it really needed some upgrading. The swimming pool allows you to easily look out over the beach and listen to the waves. Great spot, great to watch the world go by in the pool, close to heaps of good cafes etc..only negative noise from sports bar over road till 3am..we were in the rooms right next to the road and it was kinda loud fri and sat so request a room up near the pools and you will love it!! Lush tropical gardens and an expansive pool just steps from the beach. Watching the sunrise from the beach-side restaurant while sipping excellent Balinese coffee. And for a much more reasonable price than the big western style resorts. Really, this place was a gem. Staff are diligent and eager to provide good service. Rooms are basic but clean and cool. Did I mention that you are really are right on the beach?. It may have been grand once but it's showing its age now, in design and in old-fashioned styling, heavy wood, darkish rooms, and all those rooms lined up alongside each other like so many Balinese hotels of that time. On the other hand, it has a great beach location, a beachside restaurant and charming if rather standard gardens. But at standard rates it is not really good value for money; other promos will give you nicer rooms for your money ..and with internet. For now it's great advantage is the beachside location, resto and nice gardens, a relaxed feel, also well placed for saner shops etc. Lower level staff fine but the old lady at the front desk is just going through the motions with out much attention; she's seen too many tourists and it shows. I might be back..it's OK if there's a promo but I think there are better choices. Staying at Besakih is a relaxed comfortable experience. Rooms are a bit outdated but this is made up for by the location, the friendly, helpful staff and pool over looking Sanur beach. There are many people staying there who come back year after year and I can see why. Walk out straight into center of cafe and shopping area (plus numerous spas's for those essential massages). I'll be returning for next Bali holiday. The other places I looked into on this beach (like Vila Shanti) are significantly more expensive even though they're right next door. If Sanur appeals to you and you want to be right on the beach, Besakih seems to me to be a great affordable option. The rooms are nothing special, but they are adequate and clean. The a/c worked well. There is an in-room fridge. The staff were all friendly and helpful. The breakfast buffet is nothing to write home about, but again, perfectly adequate - fruit, fried rice, pancakes, toast, some kind of chow mein-type dish, and then they cook you eggs and bacon to order. The location is walking distance to lots of other on-the-beach restaurants as well as to many restaurants and shops on the main street away from the beach. The beach here is far from spectacular - and there is a large roped-off area you can't go beyond, so it is more like a huge ocean swimming pool rather than the ocean itself, but that is true for all of Sanur that I saw. So if you're really an ocean person you might want to choose a different town - but if you want to be in Sanur on the beach, Besakih is a good choice. Location Awersome, needs a little tlc, pool very shaded so was to cold to swim in most of the time. Staff very friendly, loads of mosquitos it really needs bed nets. I found to be exspansive compared to other resort accomodation offering a lot more.